This April, the Navasana Spa at Outrigger Konotta Maldives Resort celebrates one year of producing its own coconut oil on the island. The coconut oil is all-natural 100% pure, made by the spaís therapists who hand press it from the naturally fallen mature coconuts around the island. The oil is used in an increasing number of treatments at the resortís Navasana Spa. It is also popular with guests as a healthy product to take home. The oil is rich in fibres, vitamins and minerals. It can be applied externally or ingested to achieve various beauty, health and comfort benefits. It takes approximately 50 mature, fallen coconuts to make 2.5 litres of pure coconut oil. Over the last year, the staff has perfected the process which involves gathering, dehusking and shredding the coconuts. They then squeeze the milk-juice from the grated coconut and discard the residue. The spa staff then chill the coconut milk overnight or until it sets. The top solid layer is gently removed, cooked on constant heat, stirring until the oil separates and is clear. It is then bottled. Itís a two-day process. That liquid gold has numerous benefits when ingested or applied to the body. As a beauty treatment well-refined coconut oil nourishes hair, acts as a natural makeup remover or facial night cream. It can be used as a body moisturiser, as an after-shave balm, and for soothing skin exposed to too much sun. As a well-being treatment, good quality coconut oil, when consumed, is a great source of healthy fats, can increase absorption of calcium and magnesium and can improve sleep patterns. When used in food it supports healthy thyroid function. Applied topically, the oil is said to have a benign affect on mosquito bites and acne. For babies, children and pregnant mums, coconut oil is a good diaper cream and a natural baby lotion. It can be applied to limit stretch marks. Ingesting a couple of tablespoons a day may increase a motherís milk supply. Indigenous Konotta coconut oil is proving popular with visitors to the resort. They take it home as a souvenir for US$18 for a 100 ml bottle or US$32 for 250 ml. “The hosts at the spa take great pride in manufacturing a popular product that reflects the best of our beautiful island,” says Amanda. 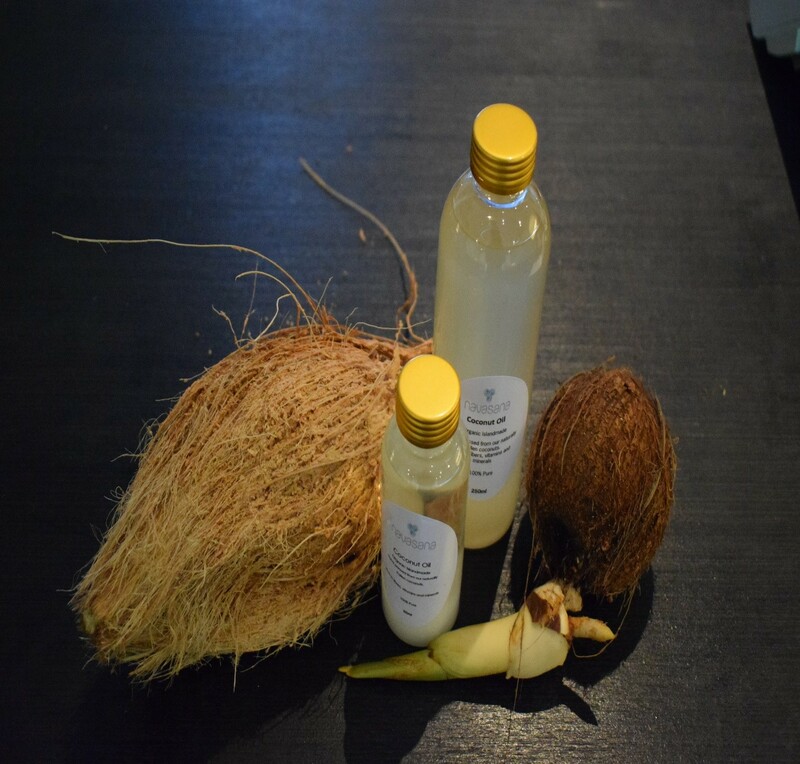 The coconut oil is one of a handful of new products now being produced on Konotta (“coconut”) island by Outrigger hosts, using only local Maldivian ingredients. 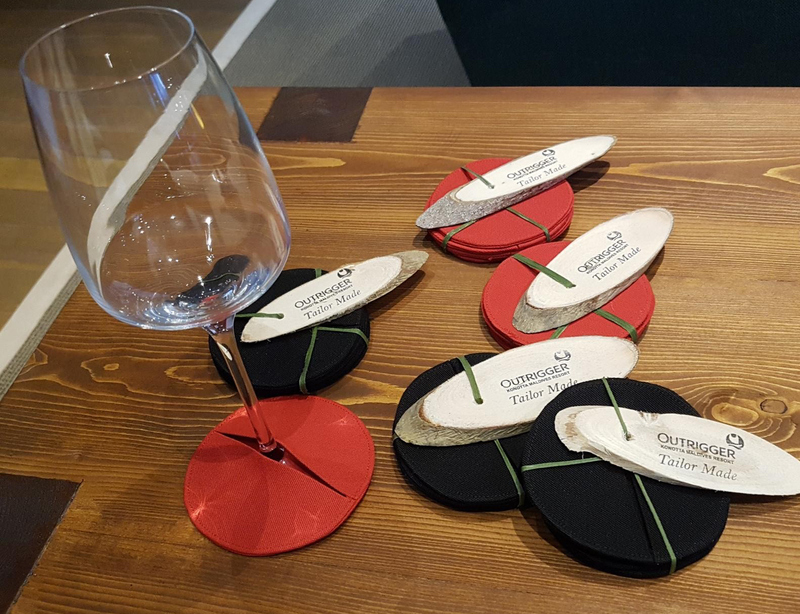 Apart from the Navasana Spa coconut oil, the Outrigger Trading Company shop also retails popular “wine sock” coasters that fit over the base of stemmed wine glasses to absorb condensation. These are produced by the resort’s creative tailor. 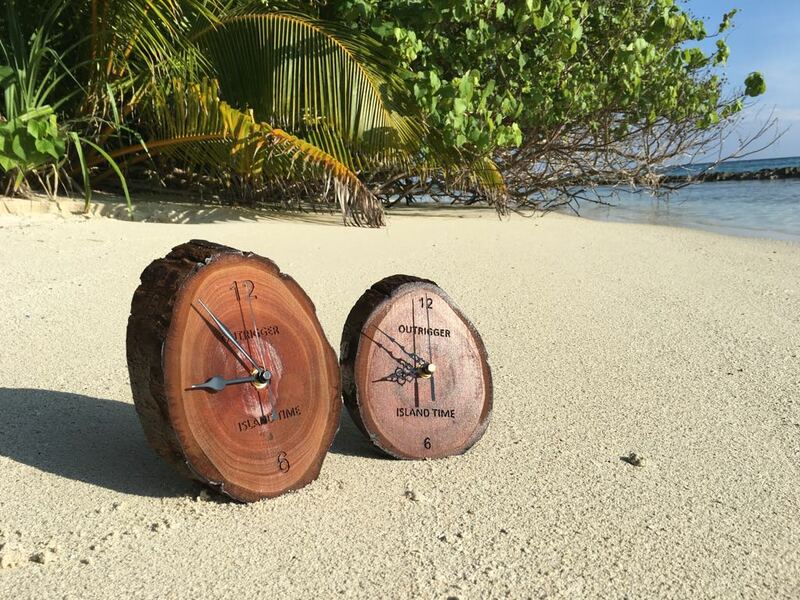 The shop also sells Outrigger clocks made from the red sandalwood tree which grows abundantly on local islands. The clocks are created by Outrigger’s carpenters on Konotta. To celebrate the 1st anniversary of coconut oil production on Konotta island, the Navasana Spa at the Outrigger is offering a free 30-minute massage for two and two 100ml bottles of Konotta coconut oil for guests who book a Maldives holiday on outrigger.com. The offer is exclusive to outrigger.com bookings only. Click //www.outrigger.com/specials/mok/free-massage to find out more. A truly unspoiled paradise, itís ìyour own private world,î surrounded by pristine natural beauty and unmatched luxury. Outrigger Konotta Maldives Resort offers a sense of complete privacy and remote luxury, surrounded by natural beauty. Set on a private island in the azure Indian Ocean, the resort features spacious stunning villas, all with private pools. Guests can enjoy a range of activities including, innovative dining experiences, rejuvenating spa treatments, and world-class water sports and scuba diving at our Reef Centre. The award-winning Outrigger Konotta Maldives Resort offers guests the largest average villa sizes in the Maldives. Comprising 29 Beach Pool Villas, 21 Ocean Pool Villas, two Lagoon Pool Villas and the three-bedroom Grand Konotta Villa, the resort offers a complete sense of privacy and intimate luxury. Captivate your senses with innovative dining concepts, the Navasana Spa, and high-end facilities. In between your diving lesson and massage, indulge in sumptuous Maldivian cuisine or a glass of white Burgundy in one of our restaurants or the comfort of your villa. As the sun sets, sample Japanese single malts at our Teppan bar while drinking in endless ocean views. The private island of Konotta is located 211 miles (340 kilometres) to the south of MalÈ and is conveniently accessible via a 55-minute flight from MalÈ to Kaadedhdhoo Airport followed by a scenic 30-minute journey on a luxurious private yacht. Visit the property on Outrigger.com. Outrigger Hotels and Resorts is a privately held leisure lodging, retail and hospitality company with corporate offices in Hawaii and operating globally in the Asia-Pacific, Oceania and Indian Ocean regions. From its Outrigger Signature Experiences to its Outrigger DISCOVERY loyalty program, the values-based company invites guests to escape ordinary with exceptional hospitality and authentic cultural experiences, incorporating local traditions and customs at each of its properties worldwide. Founded in 1947, Outrigger has grown into a highly successful, multi-branded portfolio of hotels, condominiums and vacation resort properties, including OutriggerÆ Resorts, OHANA Hotels by OutriggerÆ, Hawaii Vacation Condos by OutriggerÆ, Embassy SuitesÆ, Best WesternÆ, Wyndham Vacation OwnershipÆ and Hilton Grand VacationsTM. Outrigger currently operates and/or has under development 37 properties with approximately 6,500 rooms located in Hawaii (Oahu, Maui, Kauai, Hawaii Island); Guam; Fiji; Thailand; Mauritius; and the Maldives. Find out; find Outrigger at www.outrigger.com or visit @OutriggerResorts on Facebook, Instagram and Twitter.